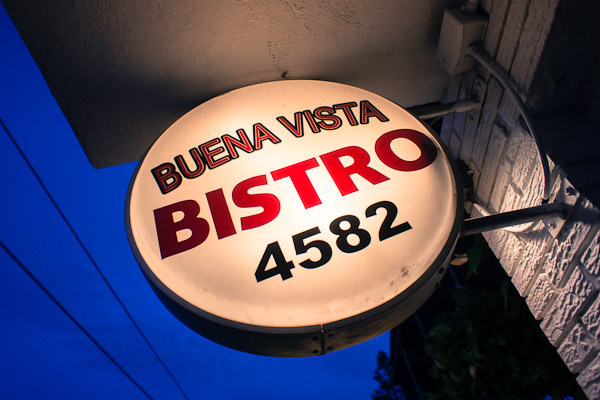 A nice French wine theme night at Buena Vista Bistro as we explore Sancerre and Bordeaux from St. Estephe. We congratulate our newest member Wesley and appreciate him bringing the 2009 Château Saint Andre Cerbin to end our evening. The winning Sancerre was the was wine # 3 Las Reine Blance Vignerons a Veding provided by Smith/Mosheim/Issa with a 6.6 score and ranked with a overall score of 6 by our new member Wesley. Second and third place goes to wine #1-#2 with a score of 5 2009 Essential Domaine de La Rossignole and the colder of the two identical wines in the tasting as we then score this same wine for third place at 4.375 with Weley providing a 4 and 5 respectively. 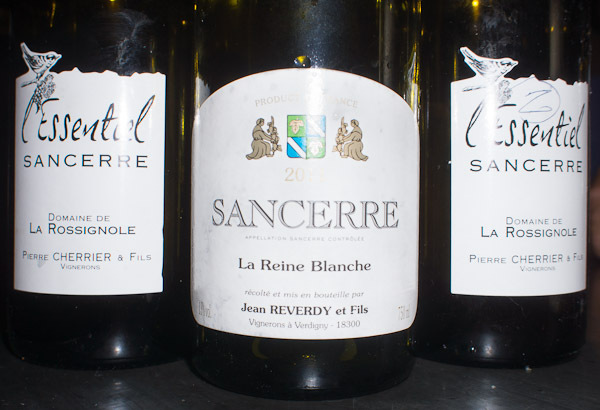 In all Sancerre was not a hit and seemed to be one of the lowest scored white wine so far this season with an identical wine as well with different temperatures making the slight ranking from the two scores. 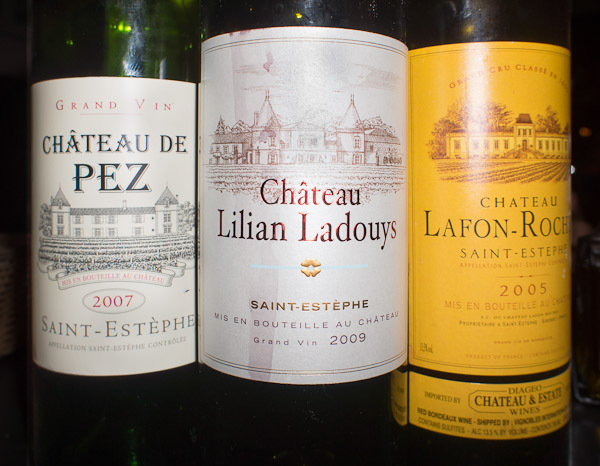 The winning red was wine #2 2009 Chateau Lilian Ladouys Gran Vin with an overall score of 8.25 and scored 9 by our guest provided by Mosheim/Smith/Issa. Second place was awarded to wine #3 the 2005 Chateau Laton Rochet at 7.5 and scored 6 our guest provide by Tenen/Hege/Gamson. Third place wine #1 2007 Chateau De Pez Grand Vin 6.7 and scored 6 by Wesley provided by Cohen/Jewell. All nice years and moved above the assigned $50.00 price point on the 2005 wine. Wesley did another terrific job of providing us with tasting notes and have provided them below for reference and for comparison. 3. Light color again, Mineral nose, stones/rocks on the palate, and soft mineral finish.. 6pts. 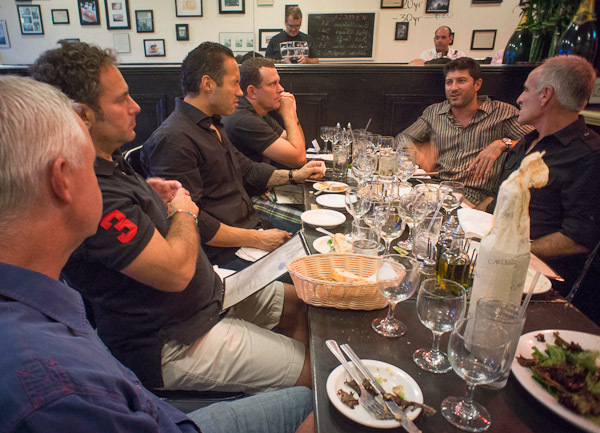 We are getting set for our next blind tasting in August with Mosheim/Smith/Issa hosting will confirm a date and a wine for our next blind.